Here's one I quite like, despite it having been made long after what I consider the essential (interesting even) era of Bollywood music ended. And by a composing duo I know nothing about (apparently they weren't very prolific). 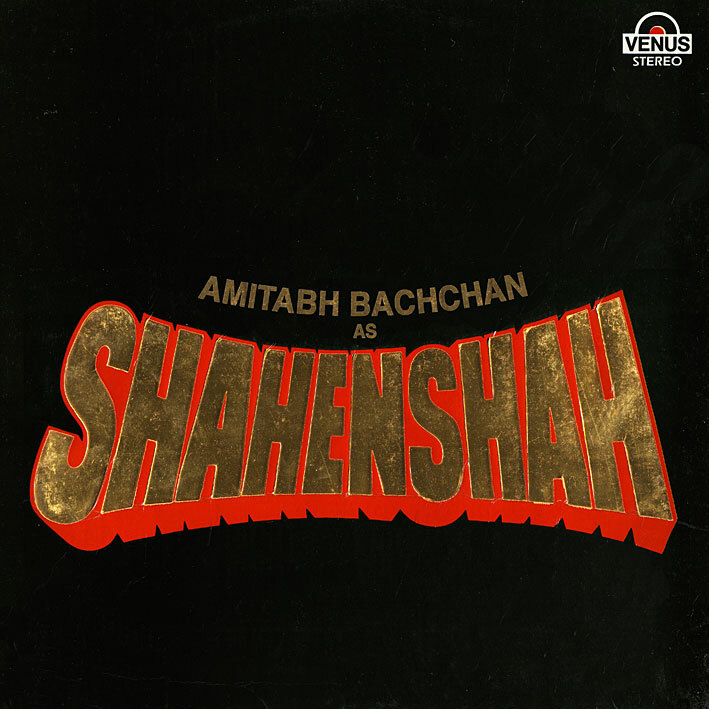 'Shahenshah' has an intensity and sense of drama which appeals to me... parts of it I find not entirely dissimilar to Laxmikant Pyarelal's 'Karz'. In spirit anyway; 'Andheri Raaton Mein' and 'Jaane De Mujhe Jaana Hai' being cases in point. All tracks here are worth a listen or two - coolest/cheesiest is Asha's 'Hey You'. Check it out. I'm surprised you'd post an album this recent too! Well still, there had to be SOME viable work left in the middle of the downhill slalom that was in progress not only in filmi, but throughout the world at that time. good work man. Keep posting, and keep blogging. Just wondering, how many more S-J albums do you have left ?. Thanks for your wonderful blog !!. thanx for makin my day. M seriously looking forward to Goonj! It has seriously some good numbers! You think? Hmm... just download the album when I post it then, don't read my write-up on it. Amar Utpal are sons of legendary music director Anil Biswas. Ha! This movie is so bad it's good. Not Disco Dancer good, but hilariously bad nonetheless. It took me a second to realize that "Hey You" is adorably inspired by Pink Floyd! This album is awesome, thank you. PC, guess what... here I am, getting back around to listening to this one, FIVE YEARS later! !